I have some exciting news! I went back through my catalog (which now that I look back is about 7 years worth of music, wow!) and started putting some music in places other than SoundCloud. SoundCloud is great. It's been good to me and I'll continue to keep my music there but there are also other places I want to have my music in order to get in front of a bigger audience. 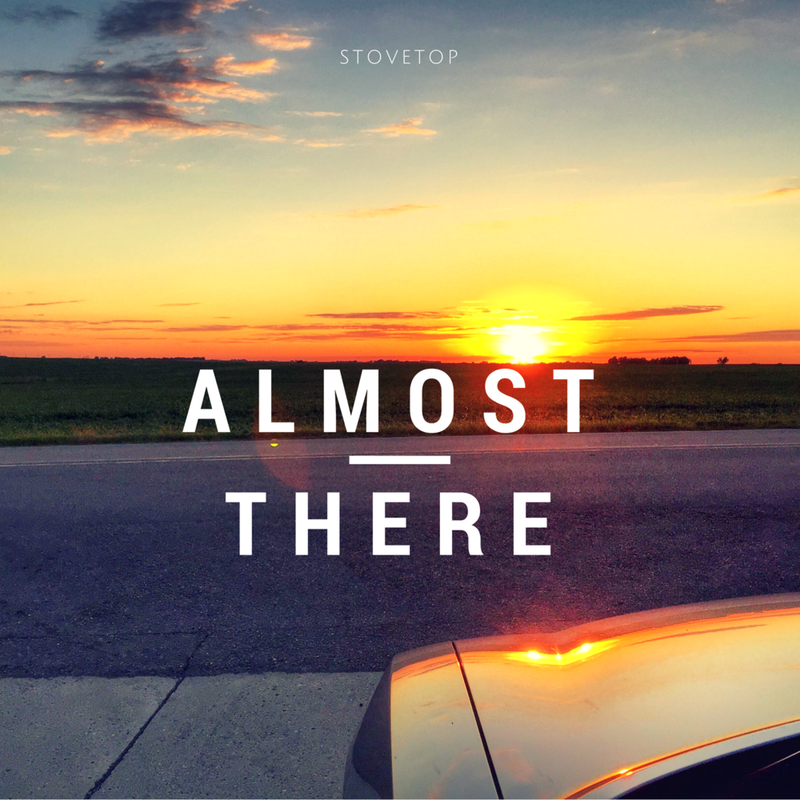 With that said, you can now find me, Stovetop, on iTunes, Apple Music, Spotify, Pandora, Tidal, Google Play, pretty much everywhere! I'm so stoked! Now you can add my jams to your playlists and stream them or download them like you would any other music you buy. You can even follow me on Spotify, yes I even have that blue verified checkmark! The three songs I decided to start with go back to my first two mixtapes and one of my favorite singles. I also released a fourth that I played guitar for and produced with my friends Thai Hua and Jon Konz. Off my first project, The Experiment Mixtape (2010), Almost There comes from that place of wanting to improve and trying your best to get there. But at the end of the day, you know you're not quite where you want to be. This song is special to me because it features one of my best friends, Thai Hua. Thai's silky smooth hook makes you want to sit back, relax, and go along for the ride. This song is off my second mixtape, The Prequel (2011), and was inspired by the many late night drives I would take throughout high school and college. Anybody who's anybody in NW Iowa knows about The Lakes. It's the hottest spot during the summer. Boats, shows, great night life. It's the place to be! So naturally I felt like it needed an anthem. This was such a fun song to work on. Three of us; myself, Jon Konz, and Thai Hua wrote, played, and produced this song all in one night. The lyrics and riffs just came and it was awesome! One of my favorites. Hope you enjoy it. So there you have it. Stovetop music out there for the world in any way you want it. Please give it a listen, add it to your playlists, and share it with friends. This is only the beginning!